Andrew Joubert '20 started the scoring spree for the Big Green within the first minute. The next play, Dartmouth moved the ball from sideline to sideline to put the ball in Charlton McArdle's '21 hands for the next try. Andrew Badenhausen '21 had himself a day and scored his first of three tries thanks to a nice offload by Fuller Winton '19. Then Captain Struan Coleman '19, Kyle Burcin '19, and Griffin Miller '19 all went off for tries of their own. 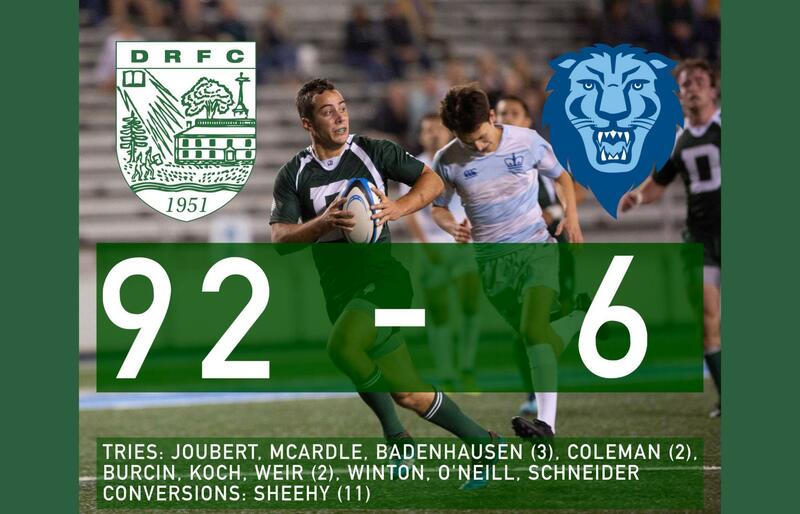 Badenhausen scored his second try by sidestepping the defense, and Mike Weir '22 faked a dummy pass that tricked the entire Columbia team to score his own try. Dartmouth finished out the half with a try from Coleman who took possession of a stolen scrum.